ACE3600 RTUs can be expanded with multiple, simultaneously operating communication ports in a range of industry protocols. The communication capability is specifically designed to support secure communications over diverse networks. Improve distribution system or collection system operation, optimize treatment plants and realize chemical and energy savings. Implement Distribution Automation systems by controlling load break switchgear, reclosers and other IEDs (intelligent electronic devices).at substations, pad or pole top locations. Monitor and control flow, pressure, cathodic voltage; perform emergency shutdowns, monitor remote exploration and storage sites. Perform routine tests and remotely activate sirens for public annunciation of emergency conditions. Perform remote monitoring of critical equipment such as power systems, environmental control systems, tower lights, etc. Quickly dispatch fire equipment and resources with remote control of lights, sirens, voice public address systems, doors, etc. Supports up to 5 ports, ACE3600 can simultaneously communicate over RS-232, RS-485, radio and IP, while using the same/different protocols. 0,3,5,7 or 8 I/O slot options (plus 19”rack) with support for up to 104 I/O modules. All I/O are hot swap replacement including the high-voltage digital modules. ACE3600 supports encryption over wireless with downloadable keys. The System Tool Suite (STS) programming tool features user-friendly, menu-driven GUI that allows program development and local and remote system setup and maintenance. 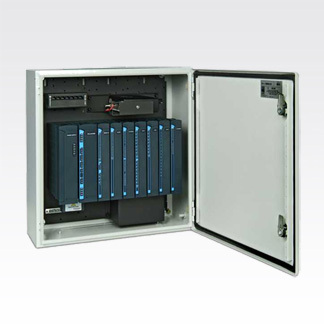 ACE3600 RTU supports multiple industry protocols such as Modbus, DF-1, DNP3.0, and IEC 60870-5-101 and allows direct connection of smart sensors, PLCs and IEDs. MDLC protocol has robust error handling to provide reliable communication. It enables RTU-to-control-center and RTU unit-to-unit direct communications without a dedicated repeater. With MDLC protocol, new ACE3600 RTUs can be easily integrated with existing MOSCAD family RTUs into a single system.